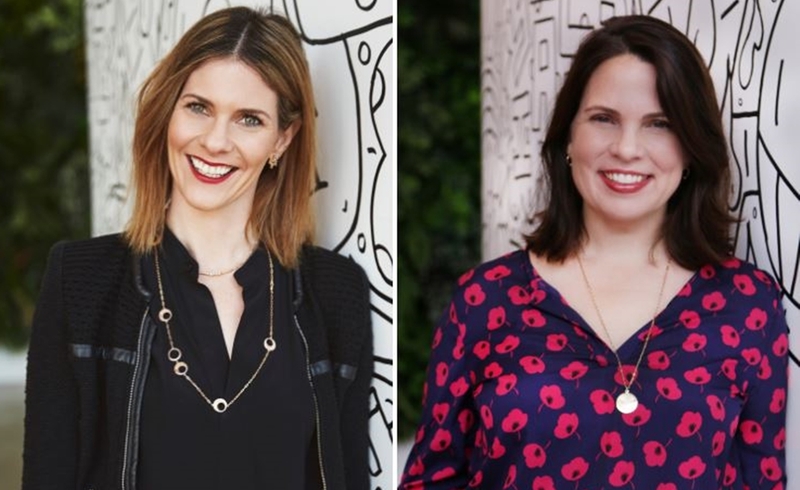 Following its bargain acquistion of Gen Z digital property Awesomeness in July for a reported $50 million, Viacom Digital Studios (VDS) has promoted two longtime Awesomeness execs to serve as co-heads of the division. Effective immediately, Rebecca Glashow (pictured above, left) and Shelley Zimmerman (above, right) will co-lead the company, reporting to VDS president Kelly Day — who is herself an Awesomeness vet. In their new roles, Glashow and Zimmerman will oversee Awesomeness’ content studio as well as social media, marketing, production, programming, and distribution. Glashow, based in New York, formerly served as Awesomeness’ chief strategy and distribution officer, while Zimmerman, who is based in Los Angeles, serves as head of Awesomeness’ TV studio. The two appointments arrive after former Awesomeness CEO Jordan Levin departed the company on the heels of the acquisition, and after a round of roughly 100 layoffs was tendered at the company in August. Viacom says that Awesomeness fills an acute demographic niche that currently exists between two of its flagship properties: Nickelodeon and MTV. Awesomeness is also buzzing amid its Netflix hit To All The Boys I’ve Loved Before. The company is readying its third series for Hulu next month — a thriller titled Light As A Feather — as well as two projects for YouTube Premium: the fourth season of Foursome starring actress/vlogger Jenn McAllister and a buddy comedy called Overthinking With Kat And June, arriving later this year. In a recent interview with Variety, Day called the Awesomeness acquisition “the bargain of a lifetime” because the “company is fundamentally worth more than the situation that was in front of them.” Day said that the conundrum the company found itself was primarily due to “a complicated ownership structure that was not easily able to resolve itself between the three owners [Hearst, Comcast, and Verizon].” Verizon’s go90 mobile video platform, which was Awesomeness’ chief content distributors, shuttered in June, and now producers are seeking new homes for their unaired shows.